Main Highlights: Colonial Cusco landmarks of UNESCO-designated Historic Center: Cusco Cathedral, Koricancha, and Saint Dominique Convent • Saint Blas • Saint Peter’s Market. 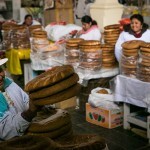 Description: Our exclusive half-day, afternoon tour starts at San Cristobal Plaza to enjoy a panoramic view of the city. 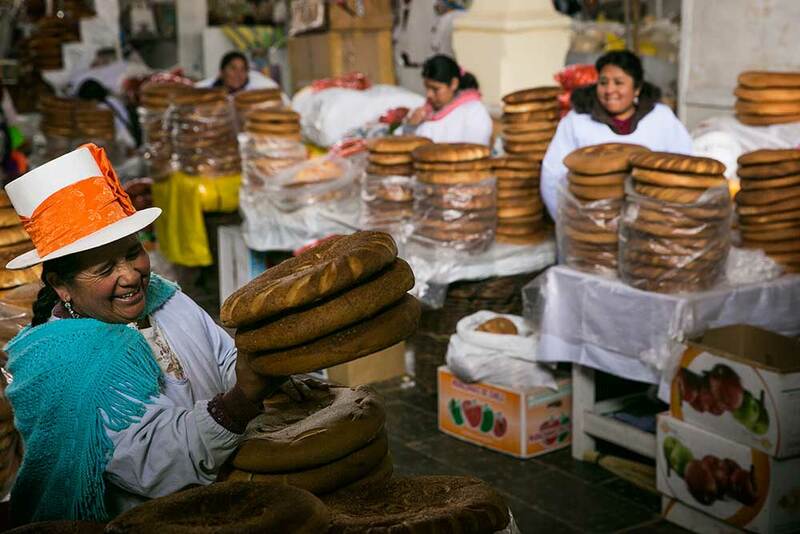 We will then visit Saint Peter’s market, where we will be able to appreciate the local flavors and learn about some of the local ingredients that contribute to the world-famous Peruvian gastronomy. We will then continue to the Koricancha Temple that will welcome us with its splendor. The Golden Precinct is the meaning of its name in Quechua and we can still feel the sumptuousness of its walls that were once lined in gold sheets. From Saint Blas, the craftsmen’s quarters we will walk down along the Hatun Rumiyoc street, finding midway the Inca Roca Palace, today the Archbishop’s Palace; and we will have time to appreciate the worldwide famous Stone of the Twelve Angles. 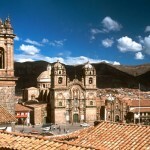 We will go on to the Main Square to visit the Cathedral that houses invaluable colonial works of art. 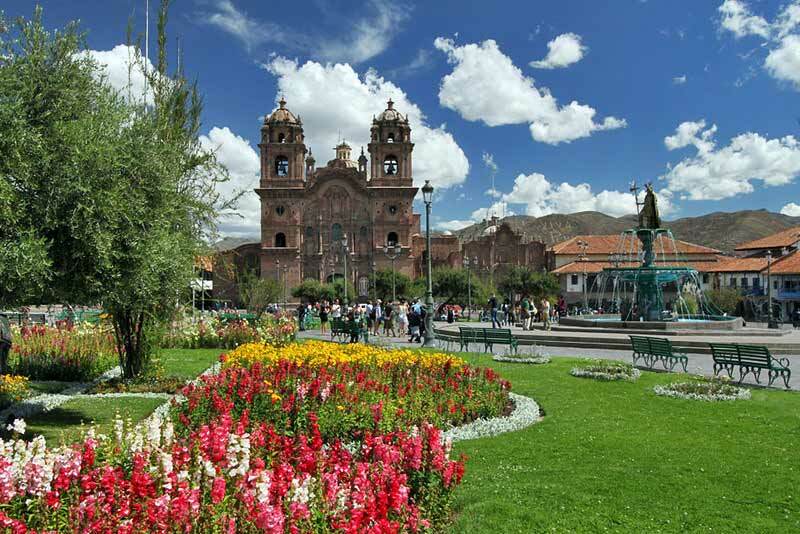 The exclusive half-day Cusco City Tour is a great option for travelers interested in customizing their vacations to Peru. 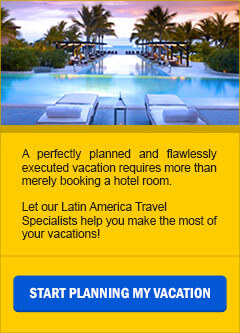 For a custom-designed one-of-a-kind vacation program call us toll free: 888.601.8411, send us an Email, or fill the blanks in our Peru Vacation Planner. The city of Cusco, the ancient capital of the Inca Empire, was placed on the World Cultural Heritage List by UNESCO in 1983, and being the gateway to the imperial city of Machu Picchu, Cusco (also spelled Cuzco) is without a doubt one of the most important destinations in Peru. 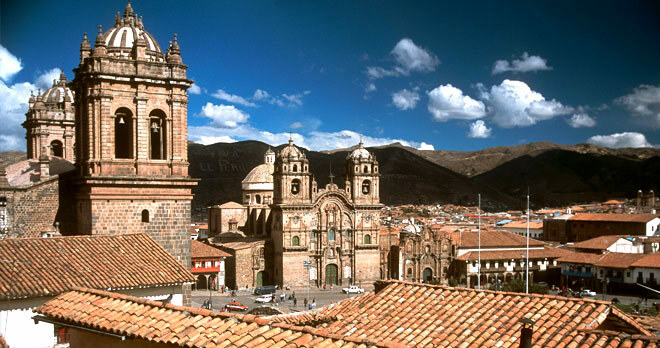 Cusco, meaning in Quechua Navel of the World, was the heart of the Inca Empire which stretched from the south of Colombia to the north of Argentina and Chile, passing through Ecuador and Bolivia. Now it is the center of Peru’s tourist trade due to its proximity to many magnificent attractions including Ollantaytambo, Sacsayhuaman and, of course, Machu Picchu. At an altitude of approximately 3,500 meters above sea level (almost 11,500 feet), with stone streets and building foundations laid by the Incas more than 5 centuries ago, and a population of more than 300,000 inhabitants, Cusco thrives as one of the most vibrant expressions of Amerindian and mestizo culture anywhere in the Americas. Every June, the city is packed during Inti Raymi, the celebration of the winter solstice and the sun god, a deeply religious festival that is also a magical display of pre-Columbian music and dance. Thousands trek out to Paucartambo for the riveting Virgen del Carmen festival in mid-July. Other traditional arts also flourish. Cusco is the handicrafts center of Peru, and its streets and markets teem with merchants and their extraordinary textiles, many hand-woven using the exact techniques of their ancestors. There are Inca buildings waiting for you to discover them among its cobble-stoned streets, ones like the Koricancha and the palace of Inca Roca as well as Andean Baroque structures from the Colonial Period like the Cathedral and the Church of the Company of Christ. 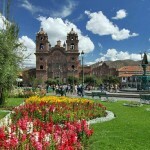 The Cusco Cathedral is a Baroque-style cathedral built on the foundations of the palace of the Inca Wirachocha in Cusco. Its construction began in 1550, using many stones looted from the site of the hillside Sacsayhuaman fortress, and was completed a century later. It is considered one of the most splendid Spanish colonial churches in the Americas. Within the cathedral’s high walls are some of the best examples of the Cusqueña School of painting, including a Marcos Zapata painting of the Last Supper with a local specialty, cuy (guinea pig), as the main dish. The cathedral’s centerpieces are its massive, solid-silver altar, and the enormous 1659 Maria Angola Bell, the largest in South America, which hangs in one of the towers. The cedar choir has carved rows of saints, popes, and bishops, all in stunning detail down to their delicately articulated hands. Five chapels flank each side of the nave; the one dedicated to Nuestro Señor de los Temblores (Our Lord of the Earthquakes) contains a solid-gold crucifix that, legend has it, minimized damage to the chapel during a 1650 earthquake. There’s non-Christian imagery in Cusco Cathedral too: figures of pumas, the Inca representation of the earth, are carved on the enormous main doors. Normal access to the cathedral is not via those doors but through the adjoining Iglesia del Triunfo, the city’s first Christian church. 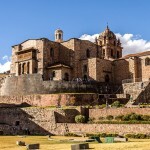 The combined sacred sites of Koricancha (also spelled Qoricancha or Qorickancha) and the Santo Domingo Convent in Cusco vividly illustrate the ancient Andean culture’s collision with Western Europe. The temple of one culture sits atop and encloses the other. The extraordinarily crafted Temple of the Sun (Templo del Sol) at Koricancha was the most sumptuous temple in the Inca Empire. Some 4,000 priests and their attendants once lived within its confines. Koricancha also served as the main astronomical observatory for the Incas. Dedicated to worship of the sun, the most important deity in the Inca’s naturalistic pantheon, the temple complex was a glittering palace straight out of El Dorado legend: Koricancha means Courtyard of Gold in Quechua. 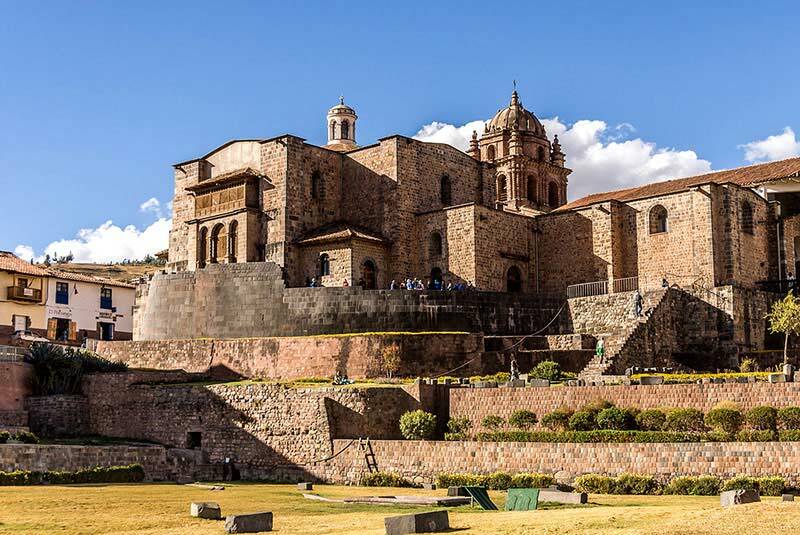 After the Spaniards looted the temple and emptied it of gold, the exquisite polished stone walls were used as the foundations of the Dominican Convent of Santo Domingo, forming perhaps Cusco’s most jarring imperial-colonial architectural juxtaposition. San Blas, Cusco’s most picturesque neighborhood, is located a short but increasingly steep walk from the Plaza de Armas. It is lined with artists’ studios and artisans’ workshops, and many of the best bars and restaurants. It’s a great area to wander around as many streets are pedestrian-only. The neighborhood also offers some of the most spectacular panoramic vistas in the city. In the small plaza at the top and to the right of Cuesta San Blas is the little white Templo de San Blas, said to be the oldest parish church in Cusco. The building itself is a simple adobe structure; however, the marvelously churrigueresque cedar pulpit, carved from a single tree trunk, it is certainly impressive. The pulpit comes with an odd story, and it’s difficult to determine whether it’s fact or folklore: It is said that the carpenter who created it was rewarded by having his skull placed within his masterwork (at the top, beneath the feet of St. Paul) upon his death. Also worth a look is the baroque gold-leaf main altar.